Some call a psychic for a particular question but they don’t know what type of psychic to call and how often… In the world of psychics, clairvoyants and gifted individuals, often comes a confusion on what exactly these gifts and people are able to do, and just how far those gifts can take them. Psychics and their gifts are indeed real, I know, I am one of them. We can assist people in illuminating dark areas of their lives, and can also assist you in making hard choices and choosing between one path or say another. The thing we cannot do is change human will. Psychics like myself, often see many scenarios in a client’s life. These scenarios of the client’s life are all possible futures of the client. Depending on which choice they make, during each crossroad in their lives, will most surely alter, or continue what a psychic has seen or does currently see. As a psychic, several of these scenarios may be seen and what the psychic must do is filter through them to understand and feel where the client is headed at that point in their lives, and how they can direct them according to their desires. One choice of human will, can alter that path. What psychics can do is assist their clients in making day by day choices and decisions, thus helping them continue on the right path. Doing this assures the client that their movement forward is a positive one, and not a life altering one. 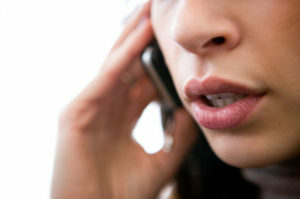 This of course means speaking to your psychic on many occasions throughout the year, not simply one or two times. Every day we make choices, and one choice can indeed change what any psychic has mentioned previously. For this reason, many have claimed their psychic was incorrect on their reading, when in fact they were not. It was the choices of the client that altered that scenario by redirecting onto a new path without real regard to what that choice might entitle. Simply put, choose a psychic that makes you feel comfortable and safe. Stay with that psychic, and ask many small questions rather than waiting and seeking a large undefined amount of questions. Seek direct answers for your path, and know what it is you seek, before you ask. The psychic reads your energy when you communicate, so be sure your mind is clear, and free of mixed signals. This will make for a clear reading and much more productive.